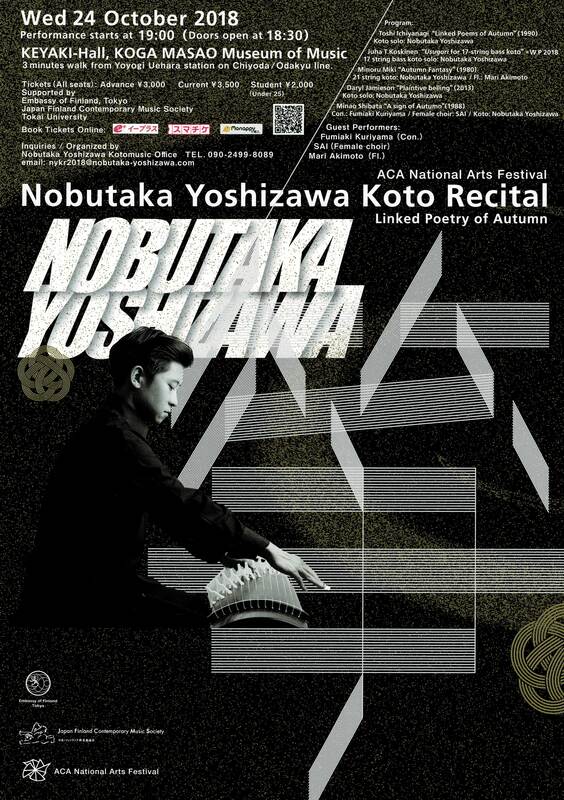 Exploring Autumn poetry of contemporary Koto Works. In Autumn Japan, the flowers are blooming, the fruits are fruiting, and you can to see the beautiful sky day and night in the season. And, the Autumn has given us some emotions, creation and love inspirations for long long ago. So, We have written a lot of poetry with Autumn scene and emotions since the era of Nara and Heian. 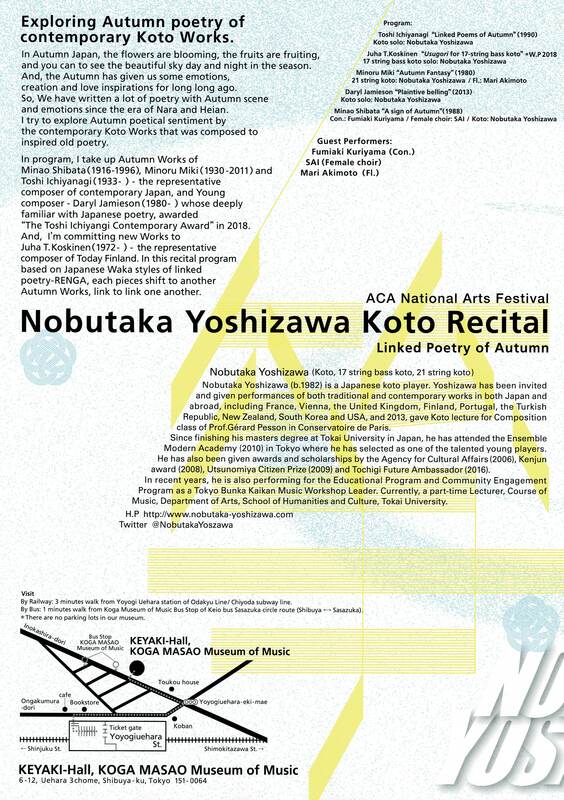 I try to explore Autumn poetical sentiment by the contemporary Koto Works that was composed to inspired old poetry. In program, I take up Autumn Works of Minao Shibata(1916-1996), Minoru Miki(1930-2011) and Toshi Ichiyanagi(1933-) -the representative composer of contemporary Japan, and Young composer - Daryl Jamieson(1980-) whose deeply familiar with Japanese poetry, awarded “The Toshi Ichiyangi Contemporary Award” in 2018. And, I’m committing new Works to Juha T.Koskinen(1972-)- the representative composer of Today Finland. 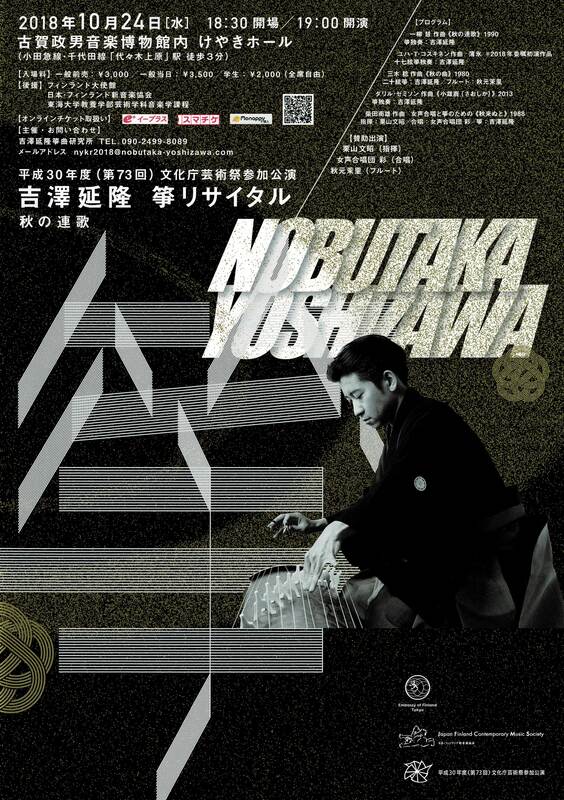 In this recital program based on Japanese Waka styles of linked poetry-RENGA, each pieces shift to another Autumn Works, link to link one another. ------------------- これまでのリサイタル The following is Recital archive. 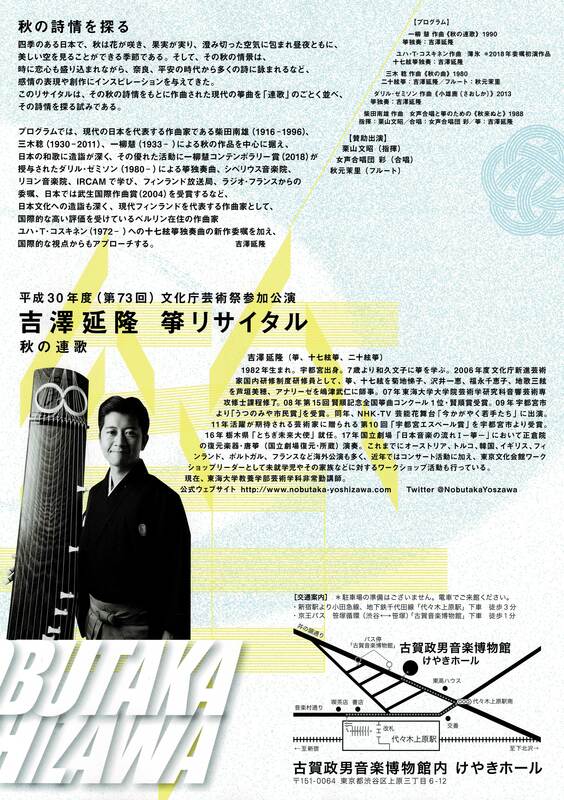 Leaflet designed by Katsunori Okui. Leaflet designed by Ayano Ito.